Home > Asphalt Paving Blog > What Road Safety Devices Should I Be Aware Of? You get off of work and rush to your car hoping to get a head start on rush hour, only to enter the freeway and be stuck. Whether due to construction or just traffic congestion, frustration at the situation can lead to road rage, poor decisions, and sometimes fatal accidents. To help prevent accidents, there are a few road safety devices that all should be aware of. Speed Bumps– Encouraging drivers to slow down, especially in parking lots or other areas where there may be pedestrians, speed bumps can be made from asphalt or rubber. Roadway Reflectors– Especially helpful for nighttime driving, these road markers are raised bumps on the road meant to reflect drivers’ headlights to ensure they can not only see their own lanes but stay in them. 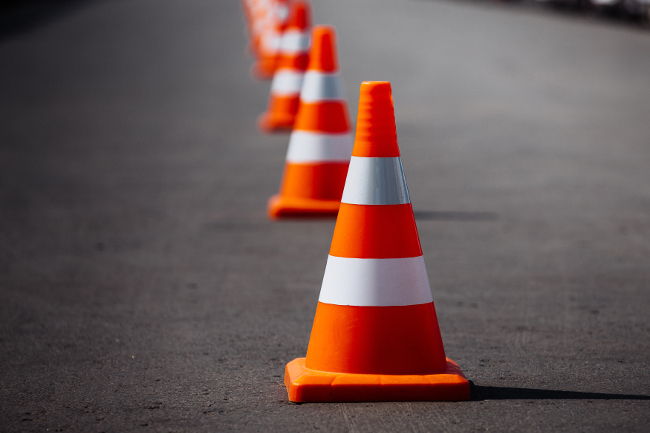 Traffic Cones– Common during ‘construction season,’ bright orange traffic cones are used to warn you of upcoming construction, accidents, lane closures, etc. Barrier Walls– These road safety devices can also be used for crowd control at major events. Barrier walls are constructed from concrete to help block off parts of the road that may be under construction or where an accident has occurred. 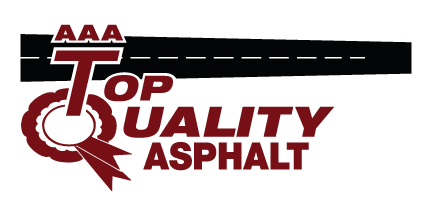 As an asphalt company, we may not be the first place you turn to for advice or help with road safety devices. However, with our asphalt experience, we have the proper knowledge to install them correctly for you. If you are in need of road safety devices, contact our expert team today to see how we can help!